Over the years we have built websites for a number of accountancy and other financial sector services. 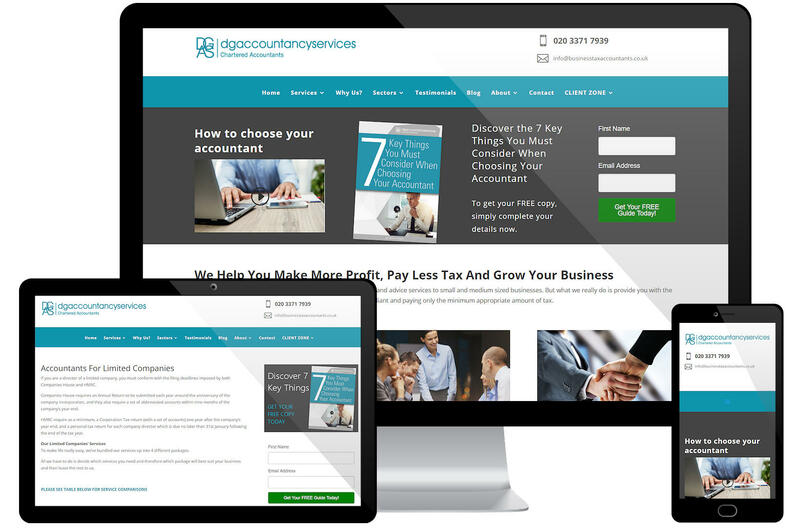 DG Accountancy Services came to us with very specific ideas about the design and layout for their website and we were able to turn that into a fully functioning reality. The site incorporates some video and an all important sign-up form that integrates into the email marketing system which the client uses. Darren at DG Accountancy also maintains a blog on the site.